The Bossier Parish School Board rezoned school districts for Barksdale to include transportation to the Haughton schools on Dec. 7th, 2017. “Bossier Parish Schools view this as one more giant step to provide BAFB dependents the highest quality education that our school system offers.” said Scott Smith, Bossier Parish Schools superintendent. The Bossier Parish School Board approved the rezoning for Barksdale on Thursday this week. Haughton schools that range from preschool through high school are now available including TL Rodes, Platt, Princeton, Haughton Middle School and Haughton High. Many of these schools are A-ranked schools which will provide the best education possible to Barksdale residents Evans said. Additionally, with the school of choice option, parents can choose to transport their kids to the grade level schools of their choice outside their designated attendance zones within the district. 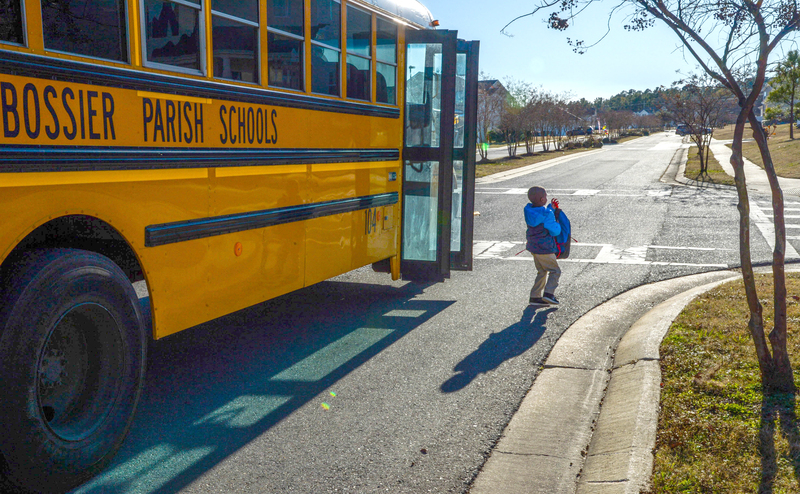 The rezoning of Barksdale from Bossier public schools to Haughton schools is a great opportunity for the base, giving parents multiple options for education and providing transportation and a more convenient option for base members. Next articleLSU Health Foundation forms scholarship in memory of Dr. Chad Hargon, Jr.